Established as a US army base in 1903, the sprawling Camp John Hay Golf Course Clubhouse is a destination within itself, home to resorts, restaurants, tourist attractions and an 18-hole golf course. 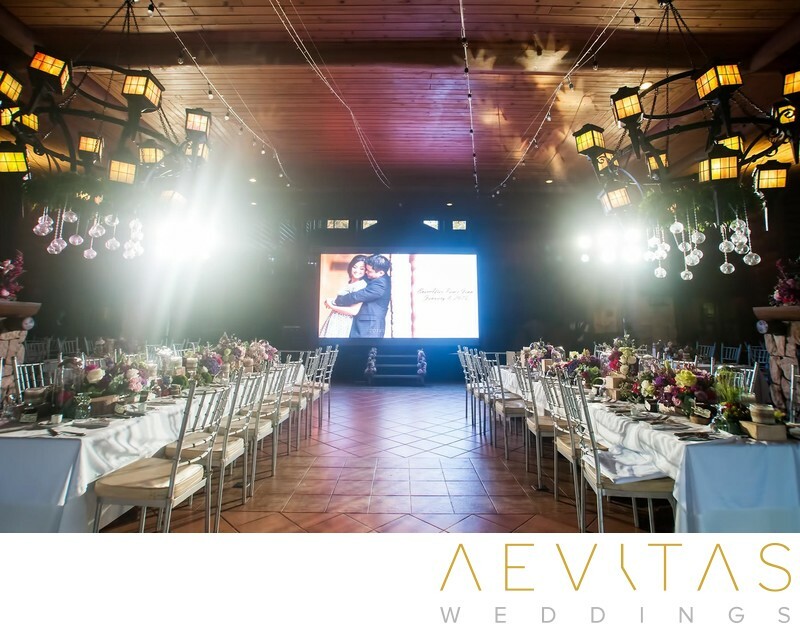 It makes an ideal base for couples looking for a one-stop destination wedding in the Philippines, set within the mountainous landscapes around Baguio City. Get ready in one of their spacious resort suites where you and your wedding guests can base yourselves for a long weekend. Then take advantage of the woodsy surrounds for your couple portraits, bridal party portraits and family formals. You can host both your wedding ceremony and reception at the Camp John Hay Golf Course Clubhouse, whose log cabin design fits in perfectly with the cool mountain terrain. Red cedar, oak and pine wood were used in both its exterior and interior construction, as well as local Baguio motifs, designs and stonework, creating an overall rustic ambiance. This large space can be customized with your own personal decorations and style, whether you want local ethnic influences or a more classic wedding ceremony and reception. Their indulgent wedding packages include all catering (with options for both buffet meals and set menus), as well as beverages, sound system, use of a classic car or limousine, and accommodation in a honeymoon suite. There is also the option for a reception fireworks display, with few more spectacular ways to celebrate the start of your new life together. The Camp John Hay Golf Course is also one of the Philippine’s most renowned, and an afternoon on its greens is a “must” for golfing enthusiasts. Not only does it have a challenging layout, but also beautiful views across the fairways to rustic pine forests and rugged mountains. For couples wanting to transform their Philippines wedding celebrations into a long weekend getaway with family and friends, Camp John Hay Golf Course Clubhouse provides everything you need within lush, cool-climate surrounds.